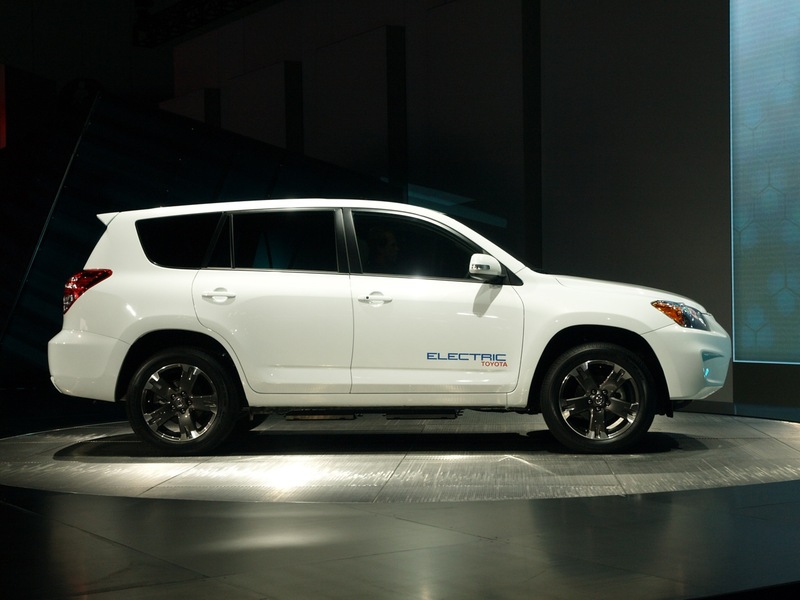 Toyota Motor Sales (TMS), US, debuted today the second-generation Toyota RAV4 EV at a news conference at the Los Angeles Auto Show on November 17. 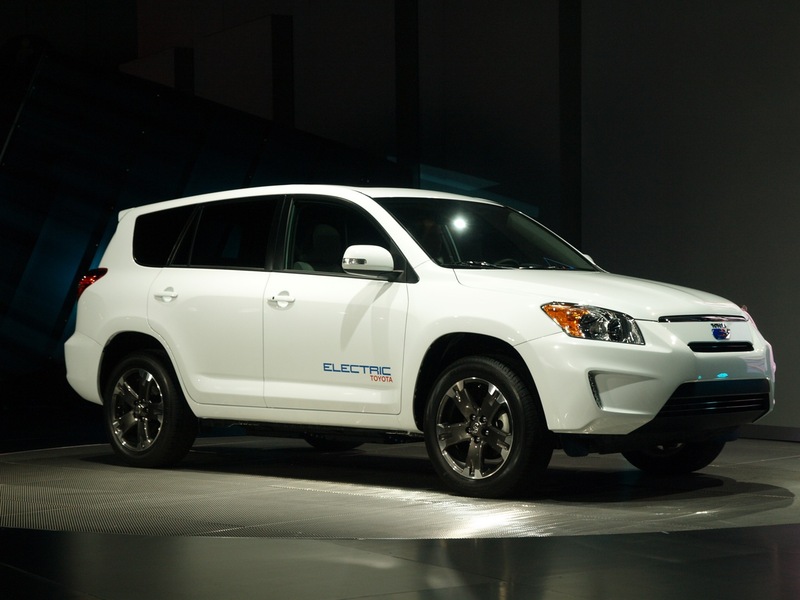 Toyota plan to build 35 RVA4 EVs under a demonstration and evaluation program through 2011, allowing the company to lock the battery size, production volume and price of the vehicle. Toyota Motor Sales USA president Jim Lentz admitted that the partnership with Tesla Motors, which with its Lotus Elise-based Roadster and its forthcoming Model S sedan has become one of the biggest names in the EV industry, was designed to bring full-electric models to market as quickly as possible. However, he emphasised that the fast-tracked development would not compromise product quality, which has come under intense pressure this year after a string of global recalls across a range of vehicles, including eco-oriented models such as the Toyota Prius. 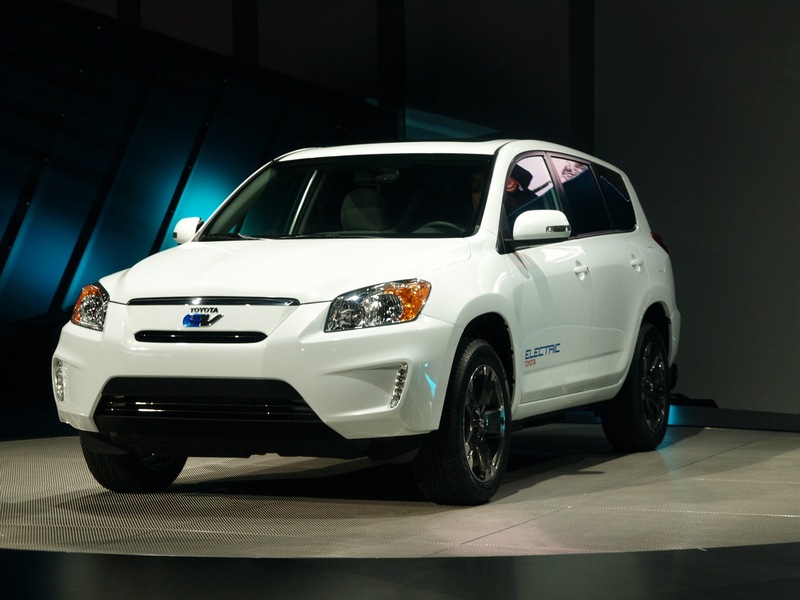 “Led by our Toyota technical centre in Michigan, (the RAV4 EV) is a model that has helped reduce development time without compromising product quality,” Mr Lentz said. Mr Lentz said the development team was currently engaged in the initial testing, validation and certification process, dubbed ‘Phase Zero’, which includes the demonstration program running through most of next year. 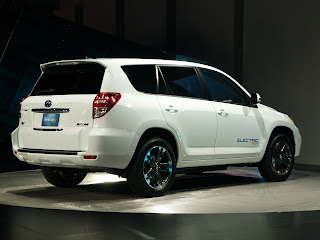 “While Phase Zero vehicles are basically converted RAV4s, the ‘Phase One’ vehicles we plan to bring to market in 2012 will be thoroughly re-engineered Toyota RAV4 EVs,” he said. Detailed technical specifications remain under wraps for the Tesla-powered RAV4, but Toyota did reveal that the Phase Zero vehicle is powered by a lithium metal oxide battery with useable output rated in the mid-30kWh range. Mr Lentz said in his presentation that the Phase Zero vehicle “is consistently achieving a 100-mile (160km) range based on actual road driving patterns in a wide range of climates and conditions”. He said this was critical in achieving an “acceptable level of daily convenience” for vehicle owners, but added that the final driving range of the production vehicle would depend on “many factors still being considered, not the least of which is battery size and design as it relates to useable power”. These factors include extreme heat and cold weather conditions and the substantial effect they have on battery performance, and as such the initial sales distribution of the vehicle in the US will be restricted to regions that do not experience seasonal extremes. The other main development focus is on driveability and its parallels with the conventionally powered RAV4. While Tesla Motors is responsible for building and supplying the battery and related components, Mr Lentz said Toyota was in charge of “development and manufacturing leadership and the integration of the powertrain”. The production location for final assembly of the RAV4 EV is still under negotiation, but Toyota confirmed this week that the basic vehicle will continue to be built at its Woodstock plant in Ontario, Canada, while Tesla will build the battery and most powertrain components from its new facility in Palo Alto, California. Mr Lentz said the RAV4 EV would be competitive with other electric vehicle offerings in both performance and price once it reached the market, adding that he was confident customers would see the model’s “packaging, styling and versatility” as a major purchase decision. The first-generation RAV4 EV was launched in the US in 1997 in response to the California zero-emission vehicle (ZEV) mandate, and had a production run of 1484 vehicles – 746 of which are said to be still on the road. This first model was powered by a nickel-metal hydride battery pack, and had a range of between 80 and 100 miles.